Nola Carter, was born in Shreveport, LA on April 15, 1918, where she finished high school and later migrated to Los Angeles, CA and attended Frank Wiggins College and Southwest University majoring in Business and Real Estate. She served as a member of her community’s Antwerp Environmental Block Organization and was once the vice president. 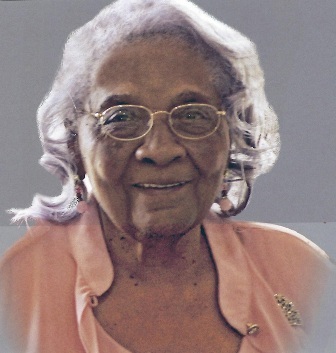 Ms. Carter later married and became the mother of ten children, which did not at all hinder her active participation in politics and community service that started when she worked to help elect Rev. Douglas Farrell to the California State Assembly. Also, as mother of a large family, she felt it was her duty to become a PTA member and eventually, representative for Russell Elementary School. Busily engaged in the South Central area of Los Angeles, Ms. Carter realized that there were no facilities in the area for the treatment of mentally ill persons after encountering a mentally disturbed child who was not under treatment. She promptly formed a committee for the purpose of establishing such a facility and approached the area’s representatives, Assemblyman Leon Ralph and Los Angeles County Supervisor Kenneth Hahn. To her surprise, and delight, preliminary plans were in the making for establishing a full service hospital that include services for the mentally ill. As a committee member, one of her major responsibilities was to assure that the hospital provided a sufficient number of patient beds which totaled 500. Thus, the Martin Luther King, Jr. hospital was established and served all of South Central. Nola Carter involved her children in various community projects as part of a “learning process” which, in turn, caused them to develop intense community pride and ambition. Such was the case with Alprentice “Bunchy” Carter, one of her sons who — as a student at UCLA — organized and established a West Coast chapter of the Black Panther Political Party that served various communities by providing nourishing breakfasts for needy children and performing other vital community services. In year 2012, a commemorative photo stamp was issued recognizing Alprentice Carter for his contribution to African American accomplishments and history. For Nola, her participation in one successful endeavor led to several others. She worked with the Neighborhood Adult Participation Program (NAPP) providing social services for homeless youths and later became director of its Florence-Firestone Center until 1982. Shortly thereafter, she started working with the South Central Multipurpose Senior Citizen’s Center (now the Lillian Mobley Multipurpose Center) as a volunteer providing needs for senior citizens. She later became the assistant director. Also, she founded the Black Grass Roots Caucus and was president of Local Union No. ll8. Ms. Nola Carter always delivered words of wisdom to those who were willing to retain the information. She passed away on January 7, 2019, at 100 years of age. Gone but never forgotten. Nola M. Carter’s homecoming service will be held on Saturday, Jan. 19, at 10 a.m., at Angelus Funeral Home, 3875 S. Crenshaw Blvd., in Los Angeles.